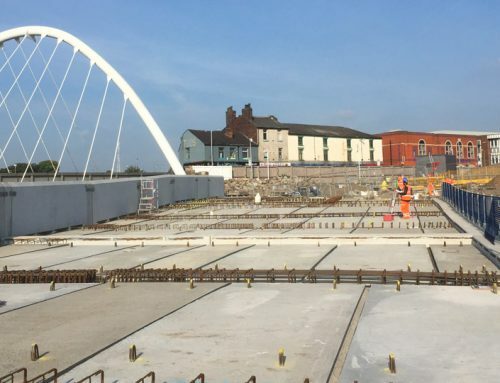 A total of 165 precast units weighing up to 20 tonnes. Construction programme safely maintained during difficult weather conditions. Detailed erection planning and scheduling combined with excellent on site engineering operations. 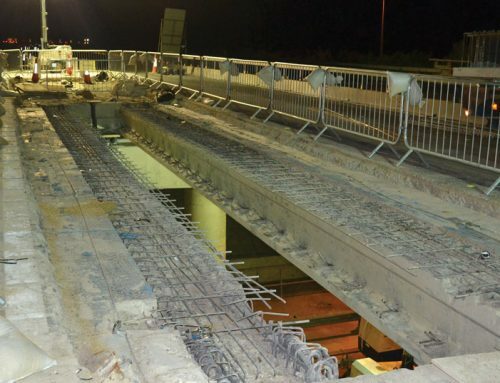 The structure is part of a major multi-million pound scheme to dual the Heads of the Valleys road in South Wales. The new 230-metre long tunnel forms part of a reservoir watercourse diversion, situated some 30 metres below the widened A465 road from Brynmawr to Tredegar. 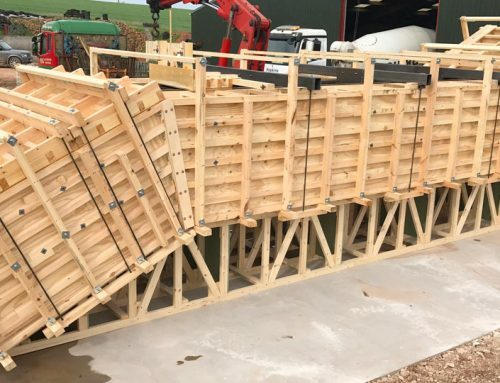 The contract on behalf of Carillion to erect the tunnel using Reinforced Earth’s TechSpan® precast concrete segments, was completed to programme despite some challenging conditions in the recent “rainy season”. In all, PCE installed some 147 arch units weighing up to 20 tonnes each to form the tunnel and a further 18 scalloped units which were placed at the entry and exit to the structure. Following completion of the first tunnel, Carillion then awarded PCE work on a smaller tunnel nearby using the Bebo arch system, which took just one week to complete. Nickie Brown, PCE Ltd’s Managing Director.